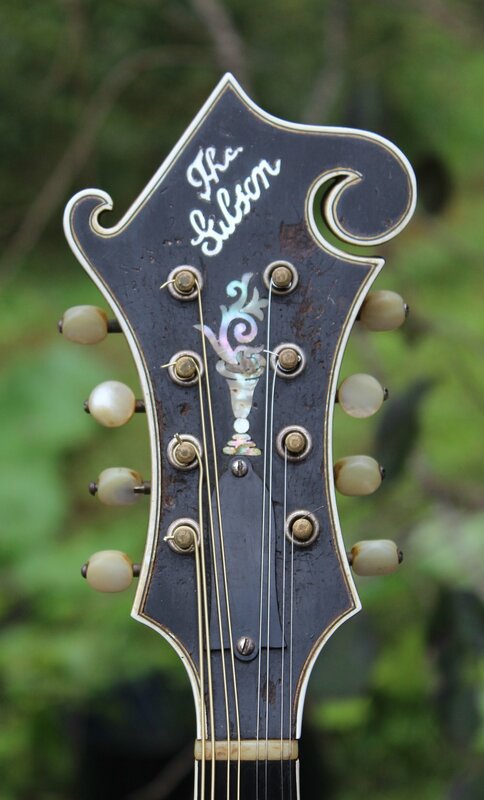 Gibson F-5 # 75950, signed by Acoustic Engineer Lloyd Loar and dated March 31, 1924. This instrument has a long history as one of the great Bluegrass warhorse mandolins. Its commanding presence of tone and projection make it distinctive whether in a jam session, onstage or in the recording studio being wielded by greatly accomplished players such as Frank Wakefield. 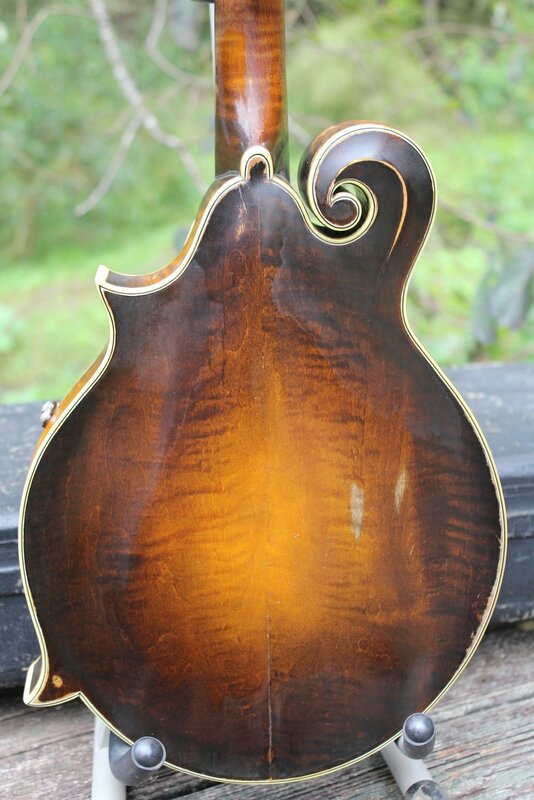 Its history is rich with performance, and yet, unlike some other famous mandolins associated with Bluegrass greats, it remains intact, structurally sound, finish original and ready for another hundred years of powerful music. 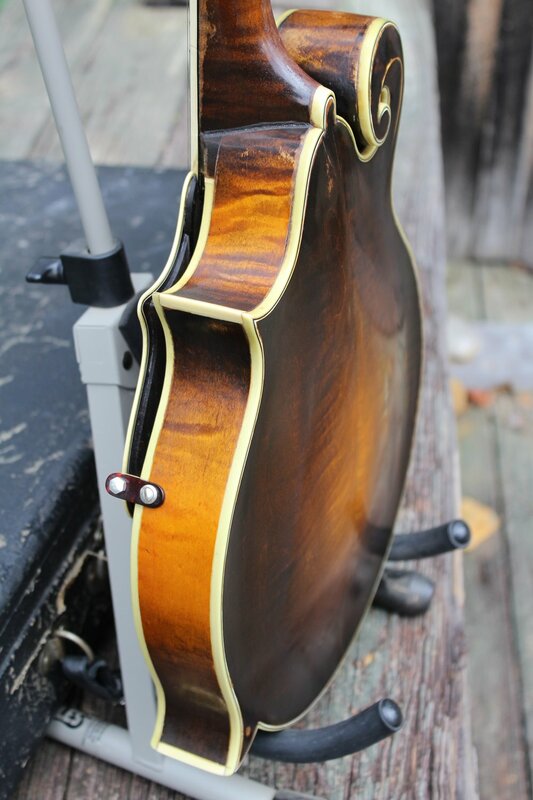 Features are consistent with factory specifications for this model and year and include the classic carved top and parallel tone bar construction with f-holes and long, one-piece curly maple neck (which places the bridge in the center of the f-holes); headstock inlay consisting of “The Gibson” and abalone flowerpot with nice green highlights; pearl button tuners with notched endplate; hand-engraved tailpiece; pick guard following body points; all hardware silver plated; and dark shaded-sunburst varnish finish as associated with the 1924 models. 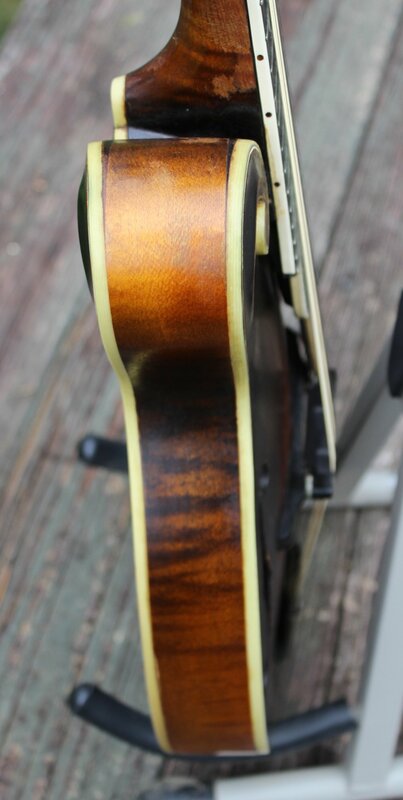 There has been a back seam separation repair and fret replacement, otherwise the mandolin has endured without cracks, warps or defects of any kind. 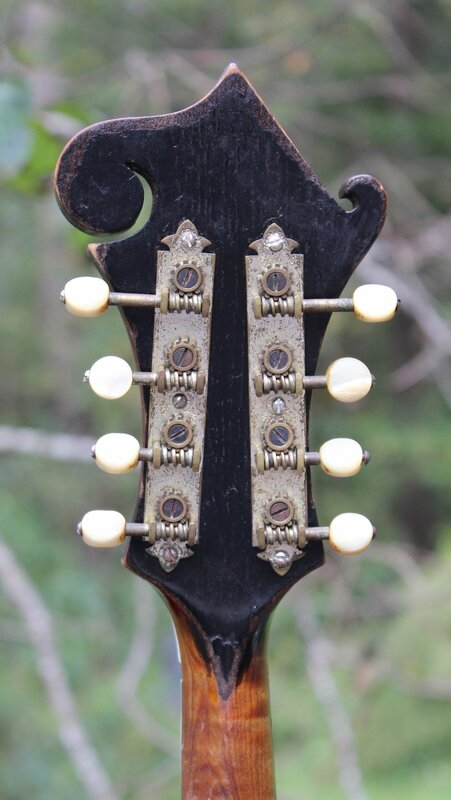 It was originally issued with Virzi tone producer # 10008, but that has long since been removed as is the case with many of the great 1924 F-5s played by Bluegrass pioneers. We invite you to take an opportunity and play this amazing instrument, and tonally, turn back the years to the 1920s. As for the price, the figure we are currently quoting will turn back the clock to the late 1990s!